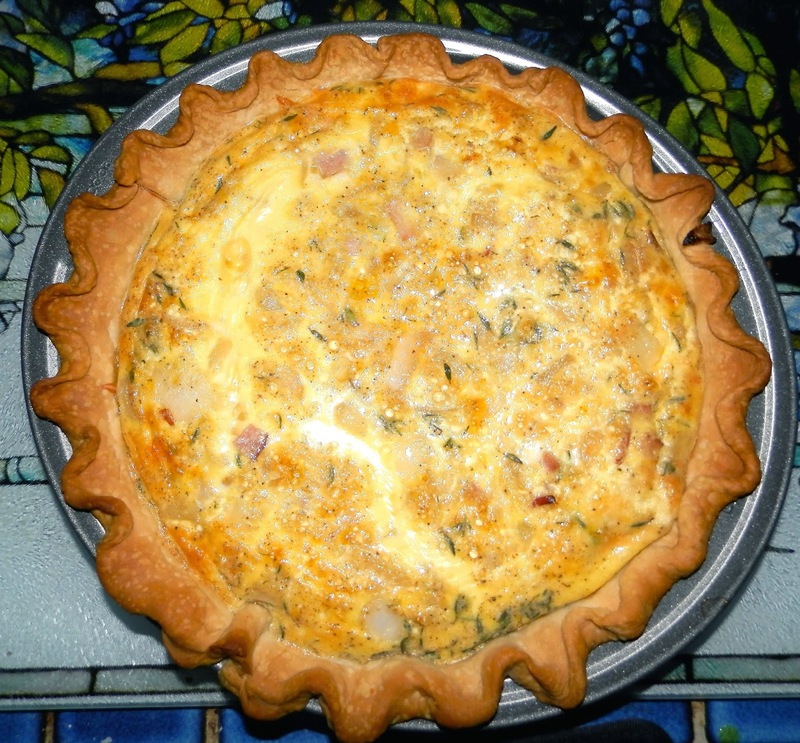 The perfect quiche? Getting there. One of the things I rarely mention in these posts is that I like to cook. I might only cook once, maybe twice, a week. But I do enjoy it. And since I'm all about the cooking from scratch, I put a lot of thought and planning into it so I'm fully prepared come "go time". I'm probably more of a "good cook" than a fabulous or impressive cook. If I have anything to brag about, it's impeccable timing. Everything is ready to serve at the same time. I never gave myself much credit for this until I found out that others have an issue with it. I'm good at multitasking in the kitchen. I get into a zone. Anyway, one of the things I like to do is "perfect" dishes. To my own palate, of course. So for, say, six months, most of what I cook will be risotto. Or garlic mashed potatoes. Or brownies. Or chicken marsala. Basically, I cook something over and over again until I'm using the best ingredients, best proportions and best techniques to satisfy my tastebuds. Then I move on to the next thing. If you can't tell by the picture I posted, right now it's quiche. Currently I'm just working on the fillings. 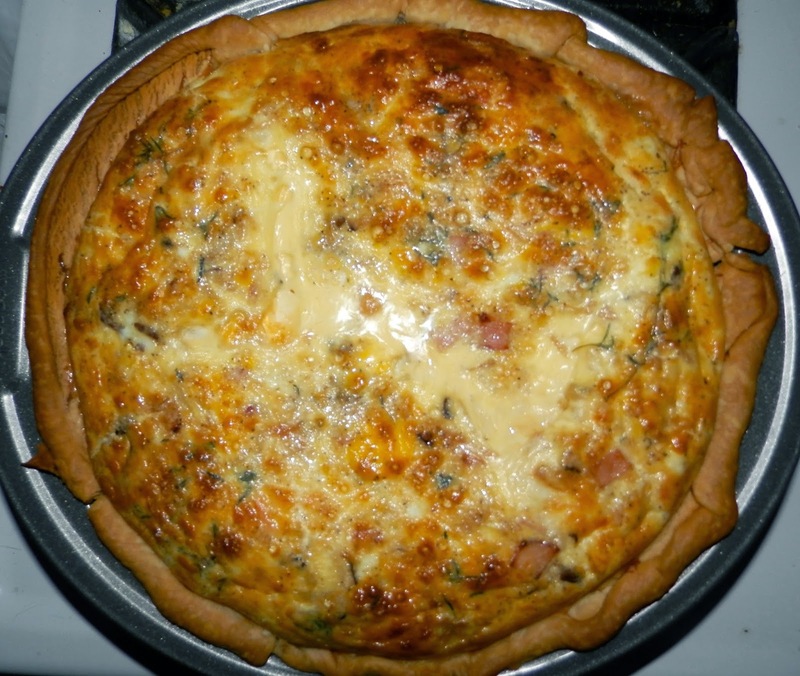 As it turns out, you can put too much cheese in quiche. That's what I've learned so far. I'd rather eyeball than measure when I cook, which kind of inhibits the perfection process. But really it's all for fun. When I get the nice custardy filling down, I'll start working on perfecting the crusts. Right now I'm ashamed to admit I use a refrigerated Pillsbury crust. A month ago. Ugly overcooked crust and too much cheese. pursuits—we'll often cook the same issue over and over again until it's cooked right. Sometimes we put in too much cheese. Sometimes we cheat on the crust until we get the filling just right. Sometimes we can't figure out what we did wrong, so we just do whatever. With cooking I'll generally follow a recipe closely the first time and then start improvising. Same with when I'm working through spiritual lessons. I'll try to do it "the right way" (whatever that is) the first time to get a baseline, then I'll tailor to my individual needs. When I first made chicken marsala, it was perfect the first time. I didn't have to work hard on that. Some lessons just come to us and some don't. But then again, sometimes you think you're done exploring a recipe and once you get into the groove with it, you find it's still missing something. Then there are the dishes that give us indigestion or are inedible. If I were to keep following that same recipe over and over again thinking it would eventually taste better, I wouldn't be a very effective cook. And then there's the garlic mashed potatoes. I can't honestly claim I ever quite perfected that (though roasted garlic got me the closest to what I wanted). But I doubt anyone else would complain. Sometimes you just have to accept your limitations and let good enough be good enough. Outside of "stretch" and "persist", there really aren't any set ingredients—or even a recipe—for spiritual or personal growth. Pushing past your comfort zone (stretching) and continuing to try different ways (persisting) are like the salt and pepper of the spiritual world. They're good in everything. As long as you remain stocked up on those two, pretty much any dish you want to try will be the better for it.